Finding helpful commissary savings and coupons on all kinds of products is easy at MyMilitarySavings.com. Our site integrates coupons and discount information from many different sources into one simple network to take the hassle out of searching for savings. That’s because we understand the challenges that life on military bases can often present, and we have made it our mission to ensure that saving money when you shop is not one of them. 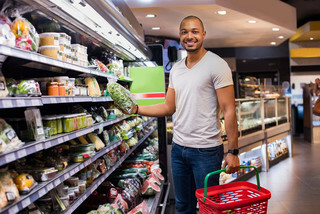 For additional commissary savings and help with planning out your shopping trip before you leave your home, we’ll also send you weekly emails with links to the Coupon Connexion and Price Connexion. You can even use our handy “My Shopping List” tool to organize a list of all your shopping needs, then print it out or access it on the go from your smartphone. If you’re ready to reap the benefits of hundreds of commissary savings opportunities, sign up for your free membership at MyMilitarySavings.com today.